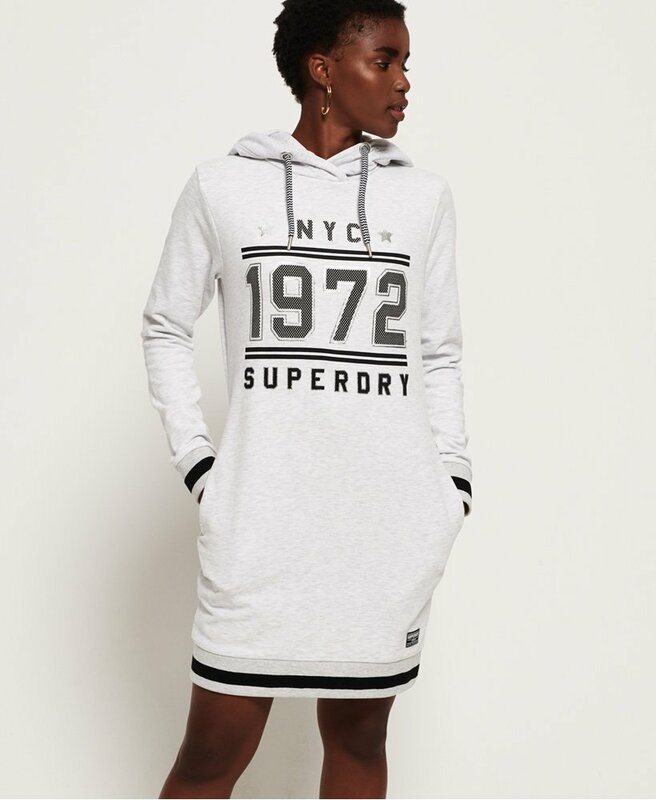 Superdry women’s Tokyo hooded sweat dress. Perfect for this season, the hooded sweat dress features a drawstring hood, a large Superdry logo graphic on the front and ribbed cuffs and a ribbed hem. This dress is finished with a pocket on each of the side seams and a Superdry logo patch just above the hem.